Mock Stock on Red Brick! 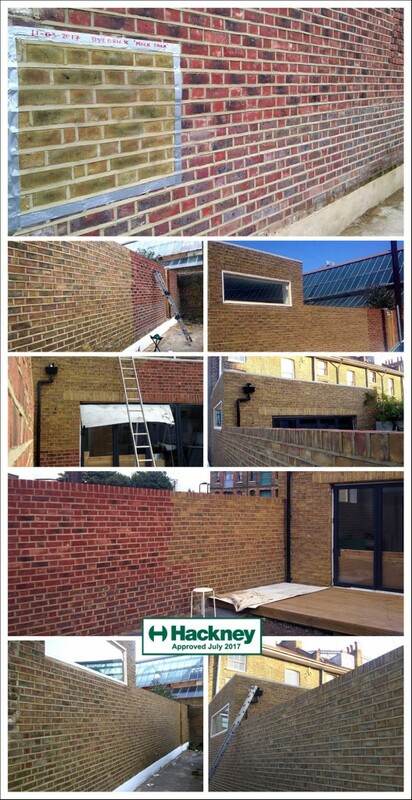 It is possible to produce a ‘mock’ London Yellow Stock over dark red bricks! This process was approved by Hackney Council. Please contact us if you have a similar problem, as this required a special mix to be matched on site.